Lots of parents joke that they have kids so they can help around the house and mow the lawn. But there are many years to go and battles to wage before you get a teenager who willingly takes up part of the burden of household chores. Getting a child who cheerfully does as they are told takes effort on the parents’ part from the earliest age. 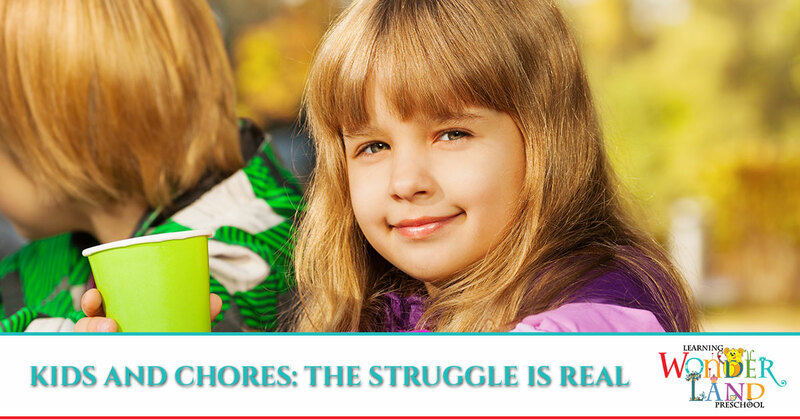 In this week’s blog, we’ll look at the topic of age-appropriate chores. But there are more positive consequence for teaching your child to do chores than getting out of mowing the lawn in the sweltering summer heat. Teaching children to do chores, and following through year after year, is teaching them life skills, responsibility, teamwork, and accountability. 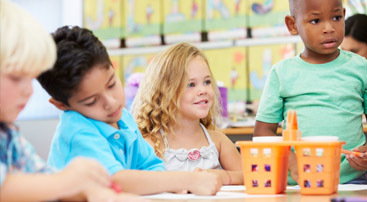 We are Learning Wonderland Day Care and we offer high-quality daycare and preschool where we offer a program that balances playful learning and kindergarten readiness, including teaching responsibility. One of the first questions a parent asks when it comes to chores is how early can they start asking a child to help around the house. Our opinion is that you can start very early. I watched a dad with a six-month-old baby. The baby dropped her toy and instead of bending down to get the toy for her, he moved her to the toy and maneuvered her so she could get it herself. I was impressed and told him that that was a great way to teach her to pick up her own things. The lesson here is that as soon as a child is old enough to understand, you can ask them to hand you a diaper, to pick up a piece of trash, place it in the bin, and so on. When children are small it can be easy to get them to help out since they are eager to please. Usually, a song like the Barney “Clean Up Song” and working alongside them is enough to get them to pitch in. You can use nursery rhymes like “Here we Go Round the Mulberry Bush” and adapt the lyrics to your chore of the moment. Make it fun! Turn into robots, or turn on some music and dance around while you tidy up. Chunking the work is also a good way to help kids tackle a list of chores. 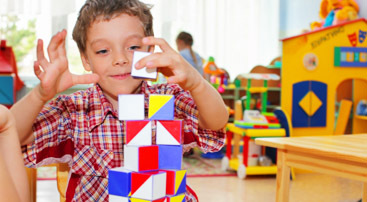 Set a timer or set manageable goals like picking up 20 toys. As children get older you can switch to start charts and link the results to a small allowance. Don’t nag your children—this will become a cycle that no one wants to be a feature of family dynamics. Let the consequences speak for themselves. Don’t make excuses for them. Sure, if they have the flu, they can skip a few days of spreading their germs around the house, but if they have plans, whether they are extracurricular or social, it is good to teach them that household chores still need to be done. Don’t undermine the other parent. Both parents need to be on the same page when it comes to standards and consequences or kids will quickly learn to divide and conquer. Don’t praise too much. Yuu don’t get a cheer squad when you clean the toilet, why should they? Of course, some praise and appreciation is fine, but too much can create false expectations in kids. 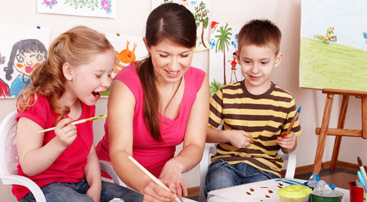 Call us today to set up a tour of our facility and to learn more about our daycare and preschool programs.